To what extent are the world’s rivers protected? In 2010, the Convention on Biological Diversity (CBD), an international treaty for the conservation of biodiversity, set a 17% target for the protection of ‘inland waters,’ including rivers. But there was a problem: there was no good way to measure progress toward that target. That situation is changing. A new study, co-authored by McGill University geography professor Bernhard Lehner with freshwater scientists from The Nature Conservancy, World Wildlife Fund, and Griffith University in Australia, uses a high-resolution dataset of the world’s rivers for a first-ever global assessment of the gap between actual protection of the world’s rivers and the CBD target. The study, published Nov. 9 in Conservation Letters, finds that most river systems around the world fall far short of the 17% target set through the CBD. This is especially true when considering “integrated protection,” including upstream catchment areas. Nearly 70% of river reaches, by length, have no protected areas in their upstream catchments, and only 11% achieve full integrated protection. Levels of protection vary widely by region: South America, dominated by the well-protected Amazon, has average local and integrated levels approaching 30%, whereas both levels are under 10% for the Middle East. Why is integrated protection important? The study outlines a new approach to measuring integrated protection, combining local and upstream protection and using a kind of sliding scale for sufficiency. 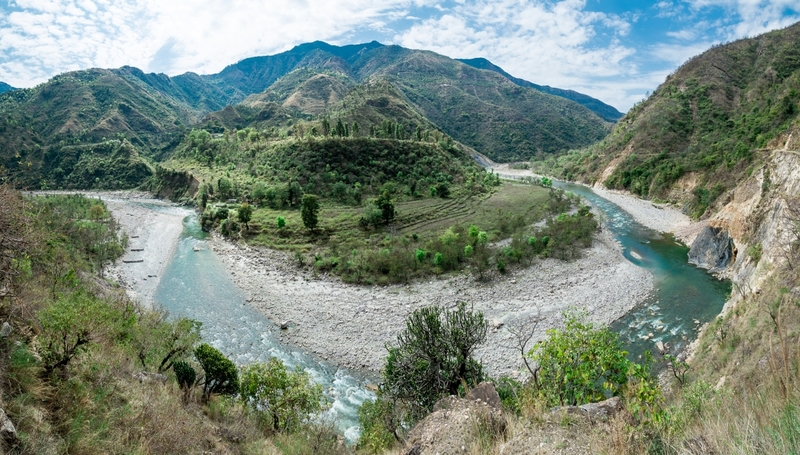 Small headwater catchments might be expected to achieve nearly complete protected area coverage, while at the other end of the spectrum the world’s largest rivers with massive upstream catchments are considered to have sufficient upstream protection at lower levels.